I want my Nanny: iPhone Apps and Friday FAQ - Visas for Vacationing Nannies? iPhone Apps and Friday FAQ - Visas for Vacationing Nannies? Sorry for the lack of posts this week, work got the best of me. To make up for it, today's post is two in one - Hump Day Distraction and Friday FAQ. And, stay tuned tomorrow for my Easter update. 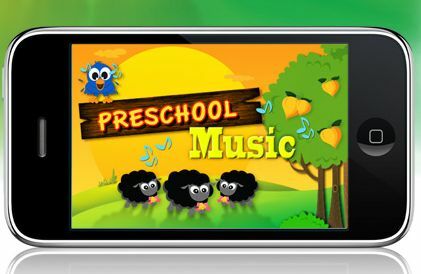 Pre School Music, $0.99 - Four games in one, your toddler can tap on fish and change them to other animals, tap to make sheep sing, play a piano, or tap birds to sing in a round. Adams's Art Coloring, $1.99 - White and black canvasses, plus "coloring book" images, and the option to 'save' your kid's arts on a refrigerator. apply for a reentry visa or anything ahead of time? (Our nanny) is going home in June so I want to make sure all our ducks are in a row so she can come back here easily. She has a valid Visa and passport. She didn't need a re-entry visa. We provide a letter of support that she takes with her along with her work permit, passport and this year she also took her H1N1 vaccination paperwork because another nanny mentioned they asked her about it in Hong Kong in transit. (Dear A) is an employee of (My Name). She has been given vacation leave for the purpose of travel to the Phillipines, from Feb 21st 2010‐March 14th 2010. Upon her return to Canada, she will return to her full-time role as a caregiver. They may have got a multiple or single entry visa when they first came. If they had a single entry, they need to apply for another entry visa. If they have a multiple entry you need to ensure it is still valid otherwise they have to apply again. You need to either apply through the Buffalo Consulate General office or the Canadian Embassy in Manila.